The word that often follows ‘corporate social’ is ‘responsibility’. Why? Corporations – presumably due to their huge treasure troves of cash and other resources – have a responsibility to give some of that back to the community. In some cases, the money goes back to those the corporation accumulated its riches from in the first place. The subtext is that the corporation does not have to give back to the community – and when it does, it is being kind. It is thinking about the greater good; it is not solely focused on making shareholders wealthy. This view is quickly fading. What corporations have is a large business opportunity with respect to corporate social impact – doing good and making money. Social impact encompasses both social and environmental topics. So, in addition to the private sector donating the resources and capabilities to address problems, they now have something else: a financial incentive. Historically, and even now in most cases, Corporate Social Responsibility (CSR) translated into the companies involved providing grants of resources to not-for-profit and other community organizations. These include corporate philanthropy, employee volunteerism and product donations. 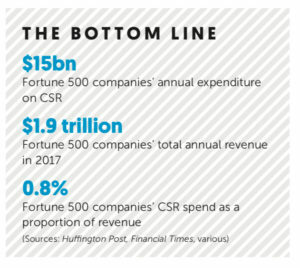 In the US, Fortune 500 companies spend approximately $15 billion a year on CSR programmes, of which about 70% is in the form of product donations. Many organizations have formalized programmes for employees to volunteer, and the smallest slice of CSR is in the form of cash donations (only 15% of the total). As many CSR and community relations professionals will attest, the dollars are increasingly very hard to come by, and tend to be subject to the financial health of the company and the whims of senior leadership. To be clear, there are some innovations in CSR. Let’s look at Pledge 1%, which started out of the tech giant Salesforce as a programme to provide 1% of equity, 1% of employee time, and 1% of product (software) to a foundation to grow and serve the nonprofit community. Pledge 1% has spun out from Salesforce to allow it to encourage other companies to do the same, and now has over 1,000 companies – mostly privately held – which have pledged to do the same. Yet the real innovation is in corporations large and small, across every industry, finding ways to simultaneously make a positive social and financial impact, and in ways that complement each other. We term this CSI – Corporate Social Impact. Whereas CSR budgets are often relatively small and hard to increase, CSI is by definition profitable, sustainable and scalable. Too good to be true? Let’s unpack this a bit. While CSR budgets in Fortune 500 companies are roughly $15 billion, total expenses of those same companies are roughly $12 trillion. That total spend represents millions of decisions – which suppliers they choose, which employees they hire, how they create their products and services, how they go to market, their impact on the physical environment and their local communities, and so forth. Every decision that goes into how companies operate rolls up into the impact of the organization – and in the same way that organizations have optimized the financial aspects, increasingly they are evaluating their social levers. 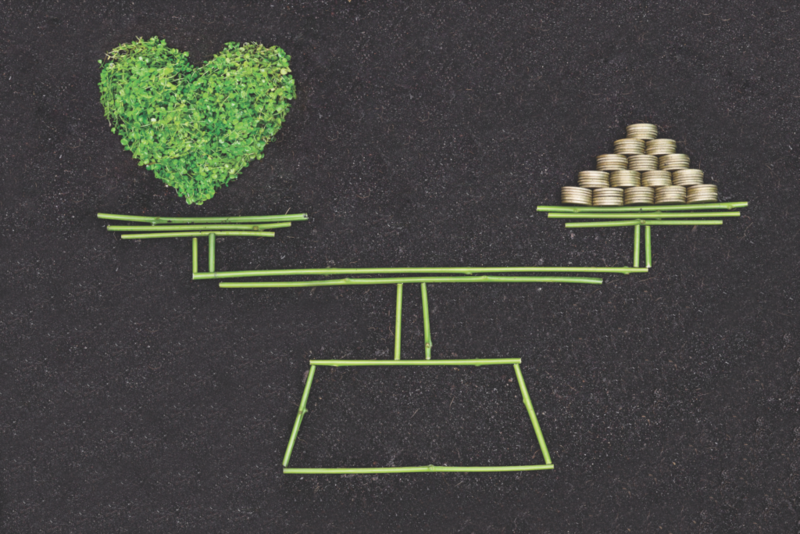 It’s certainly not the case that each and every way that a company could increase its social impact will increase its financial impact, nor even to say that increasing social impact is cost neutral. However what we are witnessing is companies discovering that in many instances, they can increase both. Time for an example. Levi’s is an iconic clothing company based in San Francisco. Realizing that the production of blue jeans is a very water-intensive process, the company set out to redesign its fabrication process to minimize the use of freshwater. The result? Since its inception, the initiative has resulted in the creation of over 13 million products using the ecofriendly process, and to date has saved nearly 200 million litres of water. The company proudly markets this achievement to its customers, who increasingly care about supporting sustainable brands. The more products Levi’s makes using this process, the more freshwater it saves, and the more it saves financially from not having to use as much water in its manufacturing process. Financial and social. This is CSI. Okay, now you are starting to think, “This sounds really wonderful, doing good while doing your work.” Can this really add up to a substantial amount of financial value? Yes! BlackRock is the world’s largest asset manager, with over $6 trillion under management. Recently, its chief executive Larry Fink famously sent a letter to all of the companies in which BlackRock invests – a large proportion of publicly listed companies – informing the chief executives and directors that they are strongly encouraged to demonstrate their organizations’ social impact strategies, both for social and financial reasons. He cited in a follow-up letter that companies in Fortune magazine’s ‘100 Best Companies to Work For’ list earned, over the long-term, excess risk-adjusted returns of 3.5%. A separate study by Harvard Business School found that of the 180 companies evaluated, those with sustainable business practices outperformed their peer set by 4% each year. Customers, employees, investors and suppliers all want to support sustainable businesses, and in some cases, are willing to pay a premium to do so. Since stakeholders in a company prefer – and often demand – positive impact by the corporation, the business case becomes clear. 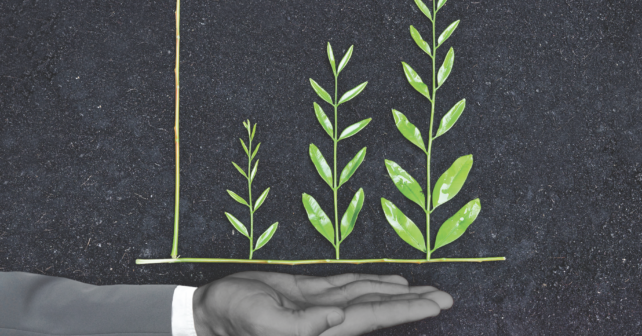 Customers want sustainable business practices. On the customer side, look at organic food. On average, organic produce costs 47% more. Yet is globally now over a $100 billion market, growing to over $250 billion by 2022. B-corporations, those for-profit companies that operate in a manner that drives positive impact for both society and the planet, are significantly growing in numbers and across all vertical sectors. Employees especially Millennials, are very concerned about the social impact ‘footprint’ of the company where they work. Hiring, retaining, and engaging these workers is much more difficult if they don’t see their employer following sustainable business practices. At many business schools – such as Harvard and Stanford – social entrepreneurship is among the most popular classes. Leaders want to learn more about CSI. They are well aware that their employees and customers care about it, yet often don’t know how to best integrate social impact into core business operations. 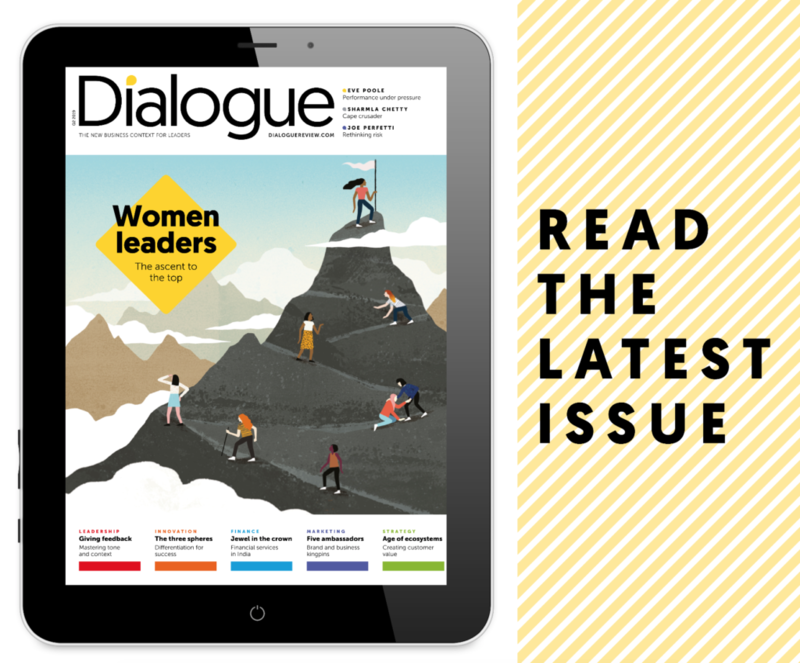 Working in partnership with Duke Corporate Education, ONE WORLD helped a cadre of senior executives from a Fortune 1000 pharmaceutical company gain direct exposure to early stage entrepreneurs in the medical field via a ‘Leader Exchange’ programme. The entrepreneurs were brought in to educate and inspire the company executives through discussing business challenges of mutual relevance. A ‘win-win’ in that the enterprise leaders gained knowledge from the early stage entrepreneurs, and vice versa. “Okay, I am ready to find some opportunities to drive social and financial impact inside of the company… but how?” The below steps outline a straightforward path to increasing profitable social impact in your company. One way to start is for the organization (a leader, team, division, etc.) to first prioritize the business goals or, as we call them, ‘drivers’ it is keen to move. Drivers are in two categories: those that increase revenue, and those that decrease costs. If the desired impact initiative is coming from a sales division, then market share expansion, for example, may make sense. Once the financial dimension is identified, then the organization chooses which social or environmental cause is important to the company – its employees, its customer base, the community in which it operates. These could certainly be specific to the organization and the products and services it produces. For example, Pearson, the global education and publishing corporation, works extensively on social programmes targeting literacy and early learning in the developing world, which is tightly aligned with its overall mission. Alternatively, a company might poll employees about causes they are passionate about. Once a cause or theme is chosen, it would be helpful to align to the UN Sustainable Development Goals (SDG). This list of 17 goals serves as a taxonomy for the most pressing social and environmental issues. Aligning to the SDG will provide a rich set of other organizations, initiatives and professionals who focus on this area, from which to learn. Incidentally, the process outlined thus far can certainly unfold in the opposite order. An organization seeking to increase its profitable social impact might first think about which social impact areas (or SDGs) it is focused on improving, and once identified, then consider which business drivers it can impact in doing so. This might be the way that a CSR team would approach finding the intersection. The next step is to consider how the organization may work toward this initiative in a profitable way – either to increase revenues or to decrease costs (bonus points if you achieve both). For example, if an organization determines it will address gender equality – which is SDG #5, it can then evaluate all business drivers that increase revenues (might the company create new services based on this theme?) or decrease costs (can the company reasonably recruit more efficiently once this initiative is underway? ), or both? Once financial and social dimensions are set, then it is time to learn from others. Which other companies are targeting similar SDGs or business levers? What specifically are they doing? 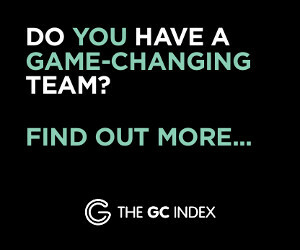 What other professionals, social entrepreneurs, investors and industry experts are working in the same sector? It’s recommended to reach out to others, read about their work, leverage their expertise and networks. Take Equinix, a rapidly growing Fortune 500 data centre and interconnection service provider. As it sets out to meet its goal of utilizing 100% renewable energy to power its services, it has worked hard to understand how other entities have procured clean energy and the implications of doing so at scale. The ‘Green by Design’ initiative has put Equinix on the US Environmental Protection Agency (EPA) list of top five green power users, along with Microsoft, Intel, Google and Apple. Equinix employees care that the company is being a responsible steward of the environment. For the business, Equinix is able to meet the increasing needs of its key customers, which include the major network, cloud and content companies who increasingly expect their suppliers to operate in an ecologically friendly manner. Let’s start designing the impact initiative. Like any successful initiative, you will need a lead, and also a team representing a few relevant interests in your organization. One recommendation is to have a lead from the part of the business with the most to gain. If the initiative is seeking to increase customer satisfaction, then a member from the marketing team; if the initiative will help reduce production costs, then someone from operations or manufacturing. Complement the lead with other vested parties, and ideally have at least one person who represents the social issue. Include a team member who has successfully launched a new product or service – this is a highly entrepreneurial activity, after all. The lead will develop a project plan with goals and deliverables. If funding is required, then a business justification is certainly needed as is some form of business plan. If having the support of outside organizations to help serve as a ‘trail boss’ makes sense, find one that has helped organizations in this specific regard, as has ONE WORLD via its Impact Pilot Program. Do not turn the initiative over to them to build – this needs to be owned and operated by the company. There will be a ton of learning along the journey about what motivates employees in the company, how new services are launched, a greater appreciation of the company’s ability to move the social impact dial, customer perception and so forth. Be sure to capture this learning in the form of frequent debriefs. Translation: as companies find additional ways to profitably drive positive social impact through their core operations, they will find that such efforts become sustainable, scalable, and ultimately have a reinforcing effect on profit margin.